While the beach being good or bad for your skin is still a hot topic, if definitely does something to your hair that makes them just wow! Well guess what, you don't have to go to the beach to get that sea-swept surfer look. 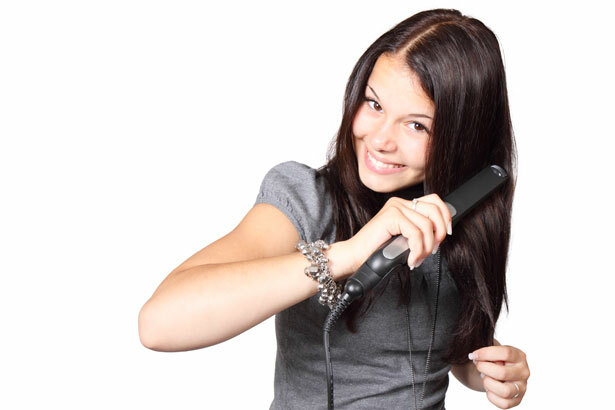 All you need is your good ol' hair straightener, yes, just that! Wrap roughly inch wide strands of your hair around the plates while simultaneously twisting the straightener one full turn away from your head. Repeat the process till you reach the ends, and then move on to the next strand till you're done with your entire head. When you're done, you'll have those amazing beach curls without the sand and the mist. Nearly every health and fitness expert recommends an early morning sprint, and you too should kick on your running shoes and head out to the track every morning for all the right reasons. However, sweaty hairlines can be a bit of a problem when you're running late for work and don't have enough time to wash your hair. Or maybe not! If you think that you can't use a straightener on wet hair, think again; straighteners with porcelain strips work just fine. Use one to quickly dry out a damp hairline for a cleaner look for the office. long lasting than mascara, which actually has a tendency to smear from time to time. However, you might want to check the weather before you carry out such experiments otherwise you'll have a lot more than just your makeup washing off! A lot of hard effort goes into making women stylish for the screen, but that doesn't mean that you can't try to replicate the look. If you're a fan of Daenerys' hair more than Daenerys herself, your hair straightener can help you get those perfect ridges in no time. Compress your straightener around a small section of your hair, twist your wrist 90 degrees and hold it for a few seconds before moving the iron down twisting the other way to get a really nice crimp in no time. A lot of girls think straightening out your hair with a fat iron kinda kills the shine especially if they're already damaged. Contrary to this popular notion, this treatment can actually help add a bit of extra shine for a few hours; you do need a shine serum though. Start off by separating your hair into small strands and apply both a heat-protectant spray as well as a shine serum; be sure not to leave any spots. Rest a section of your hair on one plate of the iron without clamping it. Repeat the process slowly from root to tip and just watch your hair shine like they've never before. If you've got curly hair and you want to dress up different for a special occasion, a hair straightening brush can do the job for you. And lastly, if you can't find your iron, you can always use a straightener to press your clothes.